San Diego County dodged the Santa Ana winds Tuesday. San Diego is in for a warm, breezy and dry day Tuesday with temperatures in the mid 70s to 80s along the beaches with inland valleys to see temperatures closer to 90 degrees. 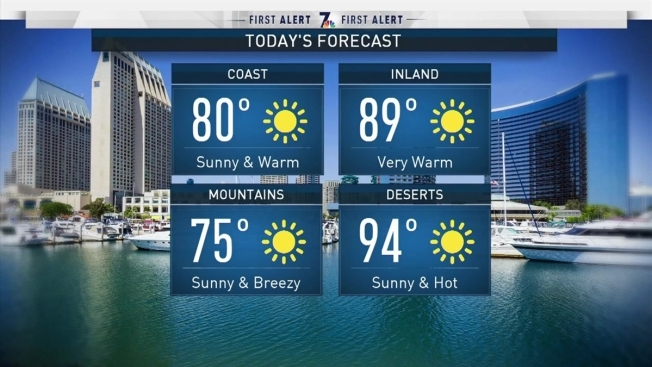 “Temperatures are running above average,” said NBC 7 Meteorologist Jodi Kodesh, adding that the region will see lower humidity levels than usual. 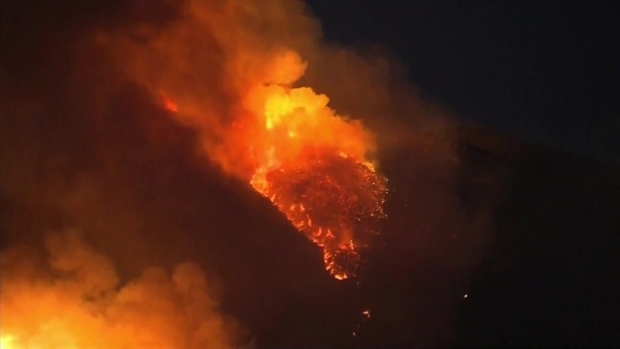 While our fire danger is elevated, “this isn’t a crazy fire danger situation for us,” Kodesh said. Gusty winds were possible in the mountains and deserts where temperatures are expected to be a little below average. San Diego should see sunshine throughout the weekend.